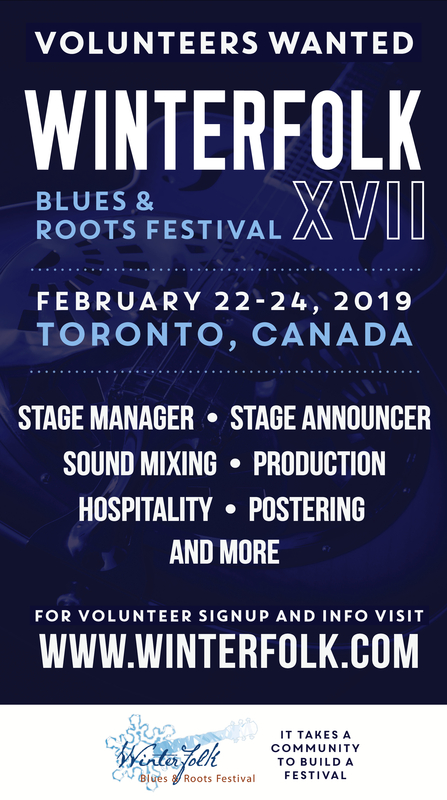 There was a time when there was really only one Roots festival that artists of that genre talked about in TO. Back when I started this publication —25 years ago this coming April, as Open Season (which gave birth to to-nite before evolving into TorontoMoon.ca) — the Mariposa Festival had a very strong presence in the city and in fact was still staging shows here. The last presentation of its weekend within the city limits, I believe, was the ill-fated 1992 edition on one of the Toronto islands, the year during which temperatures plummeted to near zero on the June weekend of the event! The poet Mary Milne described it aptly as “Mari-froza” in a composition she wrote for my publication at the time. Back then Mariposa even published a monthly newsletter distributed locally for which what I was trying to do was a somewhat upstart competitor. But that venerable —if latterly somewhat invisible— event has long since left the city to return to the wilds of Orillia or Barrie or wherever it’s held these days and a whole generation of local young Roots artists has come along that’s probably never been to one of its annual gatherings nor perhaps even ever heard of it. 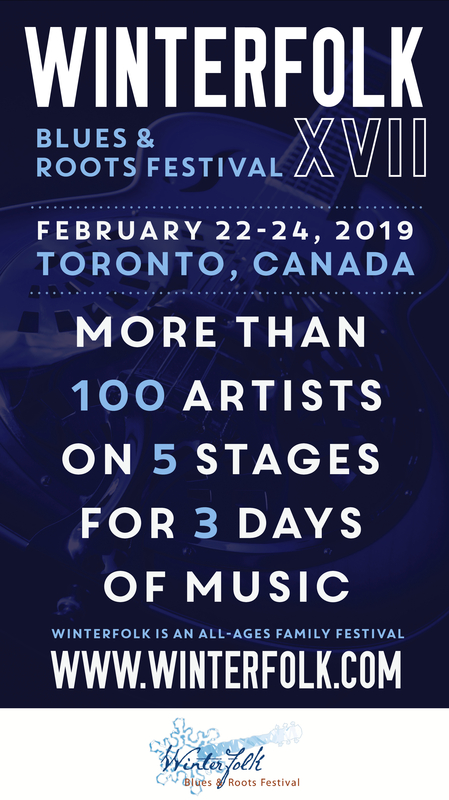 But that is not really the main reason why the Winterfolk Blues & Roots Festival, in the past 14 years since it was launched on a whim, a prayer and whole lot of chutzpah by founder and still executive director Brian Gladstone, has become the pre-eminent Folk/Roots assembly of the year in Toronto. It’s because Gladstone, unlike some of the more bureaucratically inclined members of the Mariposa organization once it became an “institution,” has stayed true to the original spirit and vision of why he started it. The truth of that may surprise or even shock and titillate some people, but it also speaks volumes as to why the festival has been embraced by the local Folk and contingent communities and continues to be much loved by them. In order to avoid competing with existing events (ahem) he decided to go off the deep end and stage it in the middle of winter, when no other similar events were happening, and to “weatherproof” it by convincing various music venues in a small urban area to co-operate and stage it together over a weekend in February. Which brings us to today’s highlight event as the 15th edition of the festival draws to a close: the release of a new album that features 15 artists each doing a song written by uber-versatile Tony Quarrington, an artist many mainstream music fans have never heard of but who is held in highest regard not only by Gladstone (who is a musical partner in several different combos) but obviously by the panoply of Roots Blues and Jazz talents who participated in the recording of the disc at a show last August. 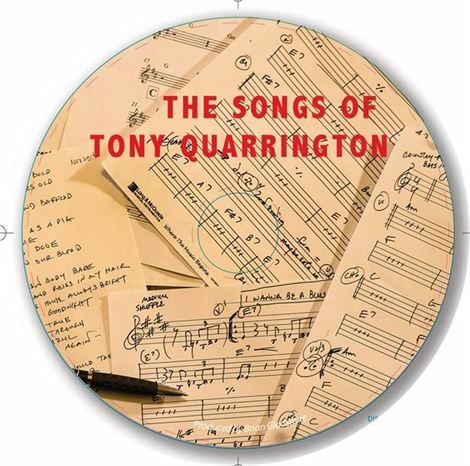 I haven’t heard any of the tracks on The Songs of Tony Quarrington yet, so I can’t give you a critical assessment of its recording quality and mastering techniques. But I can tell you, as I’ve written before, that having heard Tony perform his originals live on several occasions, and knowing the abilities of all of the artists involved, the quality of this material is guaranteed to be first-rate. Consider the list of artists who gathered at Black Swan on August 27 last year to lay down the tracks: Laura Fernandez, HOTCHA!, Stuart Laughton, Wayne Neon, Isabel Fryszberg, Soozi Schlanger, Wendell Ferguson, Fraser & Girard, Jon Brooks, Joe Hall, Glen Hornblast, Brian Gladstone, David Storey, Howard Gladstone and Sebastian Agnello. The fact that such a stellar roster would gather in one night to record such an album for a songwriter who is still alive and very healthy is a tribute not only to the subject’s awesome gifts, but also the organizational wherewithal to pull it all together. All of these performers, except Fraser & Girard and Jon Brooks for some reason (however Heather Fielding has been added to the mix) are scheduled to be on the bill for this afternoon’s 3-7 pm gala performance in the upstairs theatre room at the Swan at 154 Danforth Ave., for which cover (separate from the general festival admission ducat) is $20. No doubt many if not most or all of them will also be accompanied by the man of the hour himself, for Quarrington is also a master accompanist whom I’ve seen magically create delightful musical companions for artists on songs which he’s never heard before. It’s the spirit embodied so dramatically in such an event (and reflected elsewhere in many of the other “mix-and-mingle” themed showcase presentations throughout the weekend) that truly captures the essence of what a music festival is meant to be: a place where artists socialize, perform together in new ways and inspire on another, where a sense of community among the participants and spectators is nurtured and reinforced. At fifteen years of age, Winterfolk is no troubled adolescent or contumacious rebel; it is, rather, beginning to blossom to display the promise of full maturity that can be expected to continue to unfold and grow in the years ahead.